!!! If in doubt, please ring 999 !!! 999 is the UK emergency number – call for Fire, Police or Ambulance. Defibrillators – are located in the following places – instructions are there, but calling 999 will get you some guidance from a trained support-worker. Medical Centre – Hannage Brook Medical Centre – is our local Doctors’ Surgery. Call them in non urgent circumstances, or call 111 for medical advice. 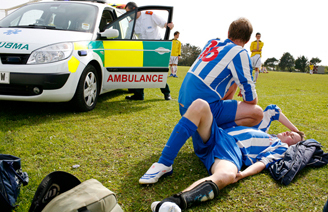 At some point, most people will either witness or be involved in an accident or experience a medical emergency. Knowing what to do next and who to call can potentially save lives. Find out more about major trauma services. A comprehensive guide to back and neck pain including causes, relief and treatment is also available here.